How does a jug become a bug? When you change the first letter! 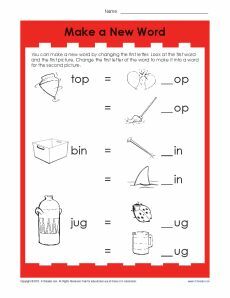 This worksheet helps your student practice phonological awareness, in keeping with the Common Core Standards for kindergarten and first grade. Other grades may also find it useful.